I just don't get it. The 3DS has sold quite well here in America and Europe too, but pretty much every developer you can think of in Japan refuses to localize their games! Why do you do this to us Japan?! Sure, this would be acceptable if the 3DS already had a solid game library but it doesn't and is in dire need of some good games, especially JRPGs, which as the acronym implies, COME FROM JAPAN! No, the 3DS game library is not barren, actually it is far from it. Nintendo has supported the system very well with games like Mario Kart 7 and Paper Mario: Sticker Star but the system really lacks third-party support. Hm, seems like people are saying that about a lot of Nintendo systems these days, unfortunately. Still, a year and a half into the life of the 3DS and us English-speakers have only seen two true JRPGs, Tales of the Abyss and Kingdom Hearts: Dream Drop Distance. 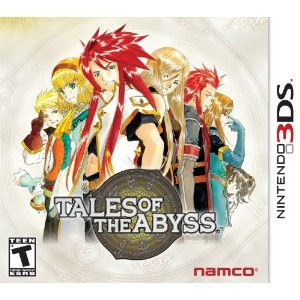 Tales of the Abyss is a great game, but it is a port of a PS2 game. Kingdom Hearts combines Disney with Final Fantasy and although the game is fun its two main components are getting increasingly stale and predictable every year. This 7 year old game is the best RPG the 3DS has to offer to English-speaking gamers. Instead of rocking back and forth in our own puddle of tears after learning about how bad the 3DS JRPG library is in the West, let's add insult to injury by taking a look at just a few of the great games that are not being localized any time soon. 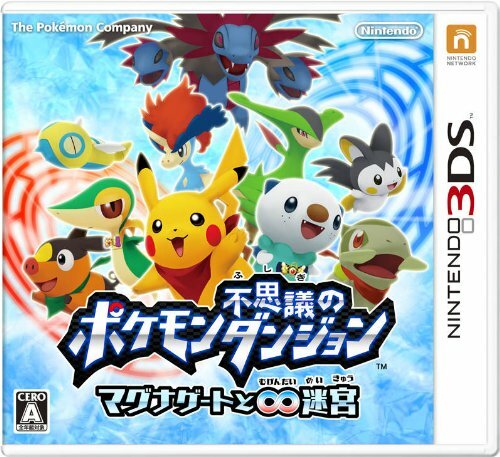 For starters, Nintendo themselves have just recently betrayed us by releasing a new Pokemon Mystery Dungeon game in Japan. They have not announced any plans of localizing the game, though we can assume we will get the game in around a year because Nintendo is pretty good with localizing games. However, Pokemon Black and White as well as their sequels released in the West only a couple months after they did in Japan and they have far more text than any Mystery Dungeon game. Another notable game, this one being a gorgeous RPG from SEGA, Namco, and Capcom, yes all three of them, is Project X Zone. This game was developed by a dream team and has been praised to no end in Japan. For some inexplicable reason though it has not made its way over-seas and there are still no plans for it to ever do so. We don't even get a new Pokemon game! There are plenty more great 3DS games exclusive to Japan as well but the two I went over should be enough to make you start hating Japan. There is always hope the games I talked about will be localized but after so many games not coming to the West such as Bravely Default: Flying Fairy from Square Enix, Unchained Blades, and Fantasy Life. 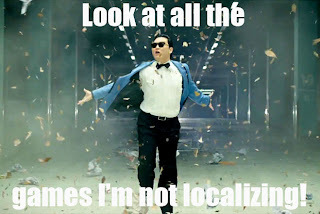 Hey Nintendo, if you want to sell more 3DS systems in America and Europe try localizing some more games! At least we're getting Fire Emblem: Awakening in 2013.